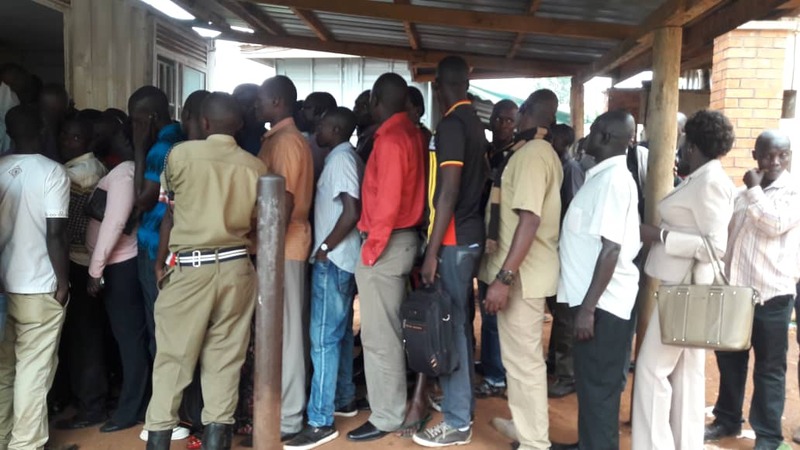 NAGURU – Police officers on Wednesday stormed police headquarters at Naguru, Kampala, protesting over a failure by their saving scheme, Exodus SACCO, to pay them their savings. The angry officers also blocked the SACCO staff from leaving the office until they were paid. “Enough is enough! We have been coming here since Monday demanding our money but it seems there is no money and they are just tossing us around,” said one officer who requested not to be named for fear of reprisal. The officers kept shouting at the entrance of the office and wondered how their own money would make them suffer. “Christmas is here and how do these people expect us to feed our families. It is unfair,” another said. When contacted, however, Mr Henry Kalulu, the SACCO chairman, denied mismanaging the officers’ cash and instead said they are overwhelmed by the big numbers seeking loans ahead of Christmas. “You go to all our barracks all over the country, the numbers are many. We have 32, 800 members and it is our duty to serve our members and we are happy that they are coming to take loans which are the cheapest in the country,” he said. Mr Kalulu added that the loan approval process requires extra care to avoid fraud, adding that some members are paid by cheque while others require cash payment since they take as little as Shs5,000. During the era of former Inspector general of police Kale Kayihura, there were allegations that some funds had been pulled out of the SACCO to pay service providers of food meant for crime preventers. The police leadership denied this claim.